While most IT and network security administrators understand the need for a comprehensive security system, far too many organizations fail to guarantee the security of their security systems themselves. Given the rise in high-profile data breaches that have made the news in recent years, it is becoming increasingly important to ensure that security systems are optimized to thwart hackers, phishers, and other scams that can have serious impacts on both companies as well as their clients. Learn more about how to ensure your security system stays safe and secure in today’s blog, below. 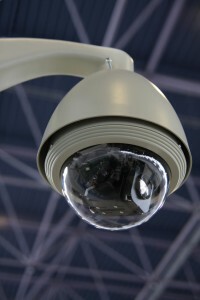 Is your security system secure? Changing your password from the factory default. While it may seem obvious that a systems administrator should always change any default passwords on new devices, many companies neglect to implement this simple and effective security measures. Video surveillance systems are especially easy to overlook as many users neglect to change the password for the default user account. To comply with industry best practices, a unique password should be set for each networked device. Most network devices are shipped with all features and applications automatically enabled, opening up many vulnerable points of access. By utilizing a firewall on NVRs and disabling unnecessary features, you can enhance the security of your devices. A few features that are often enabled but should generally be disabled due to security concerns include FTP, filesharing, and remote desktop. To ensure the effectiveness of your security system, a full audit should be conducted after the installation of a video security system. Whether conducted by a free network tool such as Nmap or by an independent third party, an audit can offer peace of mind and ensure your security system is fully functional and trustworthy. This entry was posted on Thursday, February 18th, 2016 at 1:32 pm. Both comments and pings are currently closed.